They warned you that all those treats would rot your brain! If only you had listened. Well, at least you've got an awesome conversation starter for your coffee table. It's great for all kinds of candy but we wouldn't really recommend Smarties, they just don't fit the images. This gruesome bowl has a bloody look with saggy skin and bone peeking out to the service. 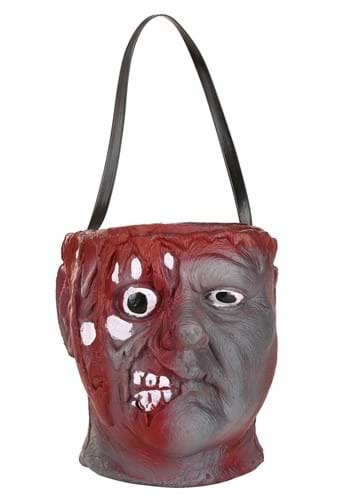 Zombify your treats with this Bleeding Zombie Bowl decoration! 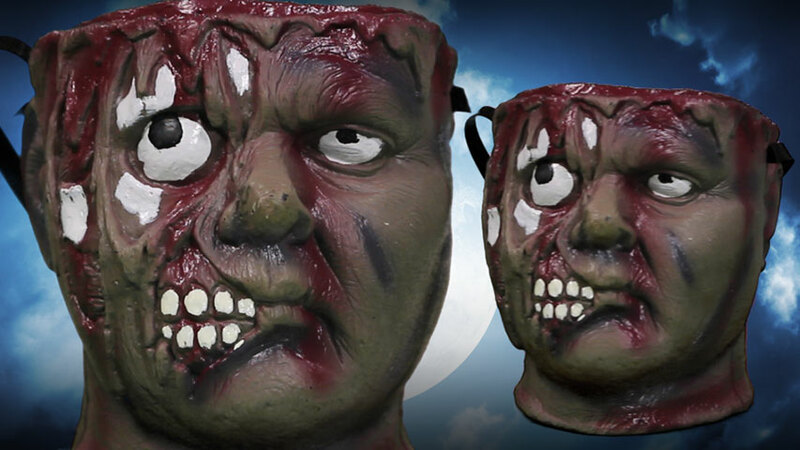 Use it to serve treats, or as a trick-or-treat pail. Hey, bring it out when your mother-in-law is coming over, she's sure to be so impressed that she'll never criticize your cooking again. Yes, it's because she's no longer sure what's in those meatballs and refuses to come over but your taste is your own. This gross guy will have all your guests thinking twice about partaking of your treats this Halloween. But hey, this nasty look is for the good of the people!